LAPD Declares Open Season on Citizens? In previous posts I mentioned wanton acts of stupidity as the LAPD opened fire on two white women in a bright blue Toyota truck because they were afraid of 1 black guy in a gray Nissan truck. They fired over 100 rounds at a target that presented no threat other than driving down the road in a residential neighborhood while children lay sleeping in their beds. The LAPD officers’ response was basically to re-enact the death scene from Bonnie and Clyde, except for the fact they apparently couldn’t hit their own foot if it was tied to a tree. 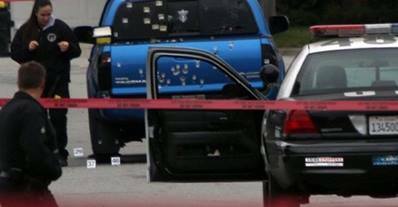 Without warning, without being fired on, 8 reputedly highly trained police officers fired over 100 shots in a residential neighborhood, and only WOUNDED the target which they’d made zero attempt to ID (aside from them driving a truck). They violated the basic rules of hunting, they didn’t ID what they were firing at before touching the trigger. They employed deadly force without being threatened in any way whatsoever… rules of engagement that’d lead to a court martial in our current war zone. They did this to US citizens on our own soil. So it had already passed them, they should have known it had TWO occupants, not ONE, they were women, and they hadn’t opened fire on anyone. What a bunch of frightened little girls the LAPD hires. Remember this next time someone says only police should have guns. You know, for our own safety. They don’t lose their badge. They don’t lose their guns. They don’t have to personally pay the millions in award to the women they treated like a paper target when all they did was try to deliver newspapers. After a thorough investigation the LAPD’s answer is along the lines of Hey chill out, we ALL make mistakes. One wonders if they would be similarly forgiving if 8 citizens accidentally fired over 100 rounds at two police officers. So not only are the officers abject idiots… they reflect the LAPD hierarchy. I’d make a Keystone Cops joke, but while the Keystone Cops were amusing with their bumbling shenanigans, they were basically harmless. This incident pretty much overwhelms the casual observer. These cops pretty much did everything they possibly could wrong. They got the gender, race, and even the number of suspects wrong. Make AND color of vehicle wrong. 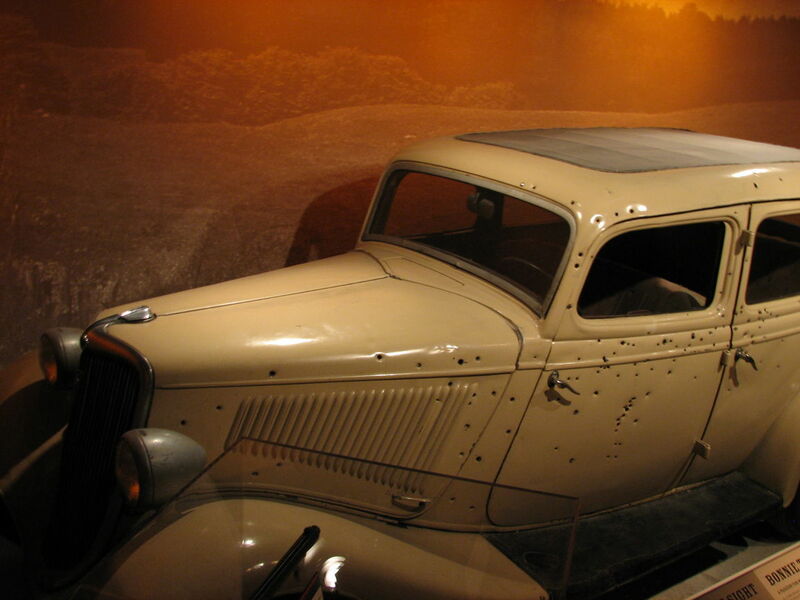 And they fired over 100 rounds without even hitting two elderly female newspaper carriers? One suspects that if the occupants of that vehicle had been a couple of Crips with AK-47s, these boys in blue would have sure enough been up a stump. These guys shouldn’t be shopping mall security guards, much less sworn peace officers. And there is where insult is added to injury. Rather than cede this quite obvious fact and send these idiots on to pastures greener where their job hopefully doesn’t involve shooting at innocent people, the higher ups at LAPD gift the citizens of Los Angeles with the possibility of encountering these imbeciles yet again. Exactly. Shooting 100+ rounds at the wrong target (and so wrong as to be darn near random) should at the bare minimum assure that none involved are allowed a gun and badge so it cant happen again. If any one of these idiots repeats and kills someone, the city is culpable. And what does this tell the others in the dept re how serious their bosses take spurious gunplay? I’d hate to be a local resident… They’re in danger from those who supposedly “serve and protect”.